Pick a Learning Track for your School! Code RED provides educators with ready-to-use lessons and instructional materials that allow them to effectively teach computer science and coding in the classroom. 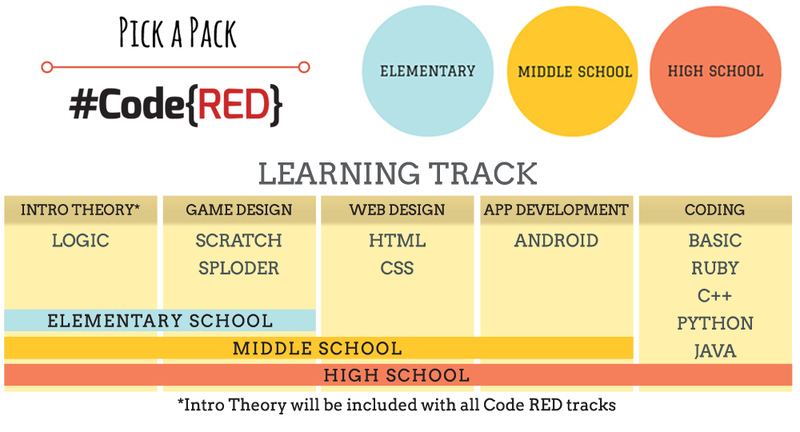 For a limited time, you can implement special coding tracks from Code RED based on your school’s needs. See the chart below for suggested learning tracks based on grade level. Call (314) 432-0222 to take advantage of this limited time offer! Or complete the form below and we’ll get back with you!